“A coward dies a thousand deaths, a soldier dies but one.” That is the motto of a US Army Soldier on his second tour of duty in Iraq. His first tour was 12 months. This one will probably end next May. That will make 15 months for him this tour. His job this time is “just a simple one,” he says–logistics–getting and fielding all the equipment for the 4th Brigade. 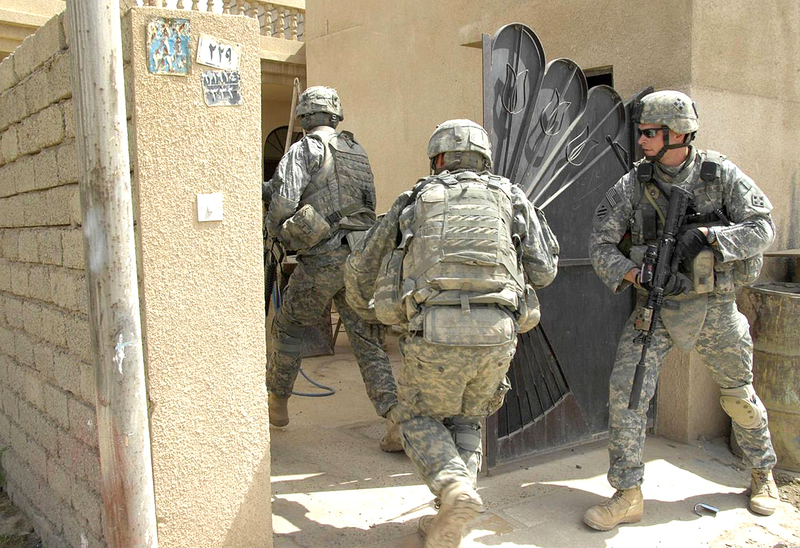 There are about 3,400 soldiers in the US 4th Infantry Brigade Combat Team all over Iraq. His rank is E-8, Master Sergeant, and he is planning on, not only leaving Iraq, but leaving the service when his enlistment is over in October 2008. This soldier said recently that not all Iraqis are anti-American. “We were rolling up north to visit our Kurdish brothers. The Kurds are very fierce fighters. They have a little organization called the Peshmerga, which literally translates to “those who face death,” that opposed Saddam back in the day. The Kurds make the best soldiers and have the highest pass rate for US special forces schools in Iraq. Up in Duhok, which is in Kurdistan, every male between the ages of 17 to 25 seemed to have one of two pictures in his wallet; either President Bush or the US Flag,” stated Michael Stellpflug. He also managed to find a Kurdish McDonalds, and it made him feel even more at home. “It’s not really a McDonalds, but the Kurds tried to make believe it was. The sandwiches were pretty good, though,” Sgt. Stellpflug stated. Although Stellpflug will be coming home next May, he expects US Troops to be in Iraq for many more years. That is the debate that is raging back in the US. 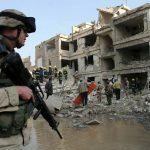 Some would rather all troops come home soon tired of virtual visits with their family, while others feel a premature pull-back of American Forces would result in a destabilized Iraq.